Quinte West is mainly known for CFB Trenton and the Trent River. Many people don’t know that Trenton is also home to an abundance of delicious and different restaurants. 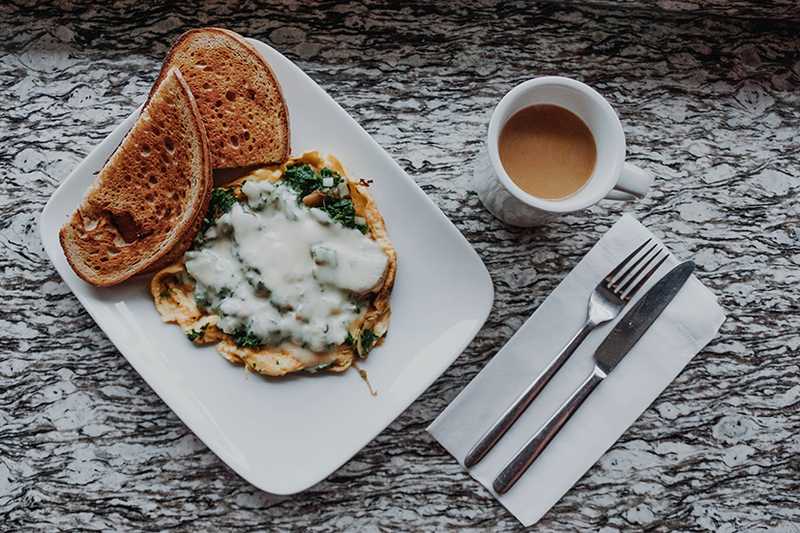 From fine dining to breakfast diners, Trenton has it all. 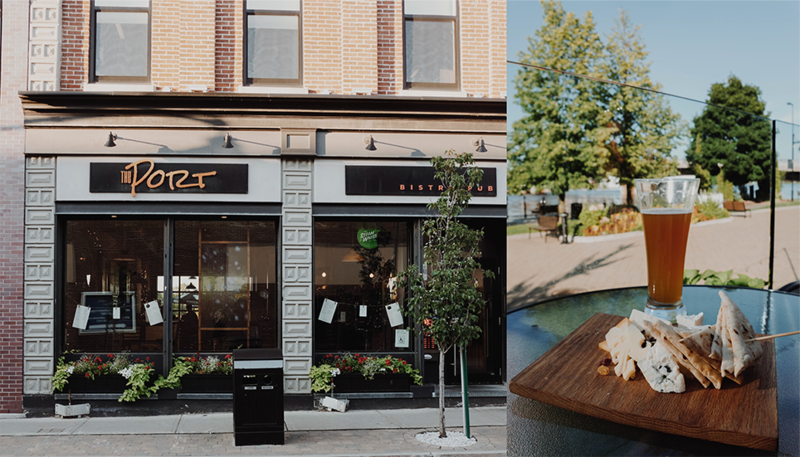 Here is a few of my favourite spots from around the Downtown area. If you’re looking for breakfast in Trenton look no further. Dapp’s is the breakfast hot spot. This family style restaurant gives you a ton of food for a great price. All the morning classics are available, from Breakfast Sandwiches to EggsBenedict. They even have some signature dishes like the breakfast Pizza! This café will be your next favourite lunch spot. This cozy restaurant has fabulous service and delicious daily specials. Freshly made & plenty of options is their motto. They’re open for breakfast and lunch, but only Monday to Friday. So the next time you’re wondering where to grab food on your break head to the Riverbrake Café! Trenton’s best spot to grab a drink and enjoy a beautiful view! This Gastro Pub carries a great selection of craft beers and local wines for you to enjoy while you relax on their beautiful patio overlooking the Trent River. Their menu carries a great assortment of appetizers and pub fare, made from local products. Be sure to stop in on a Friday night for some great live music. You can even enjoy some fine dining at one of the best restaurants in Quinte. This upscale Italian restaurant has an inviting indoor atmosphere and a waterfront terrace. 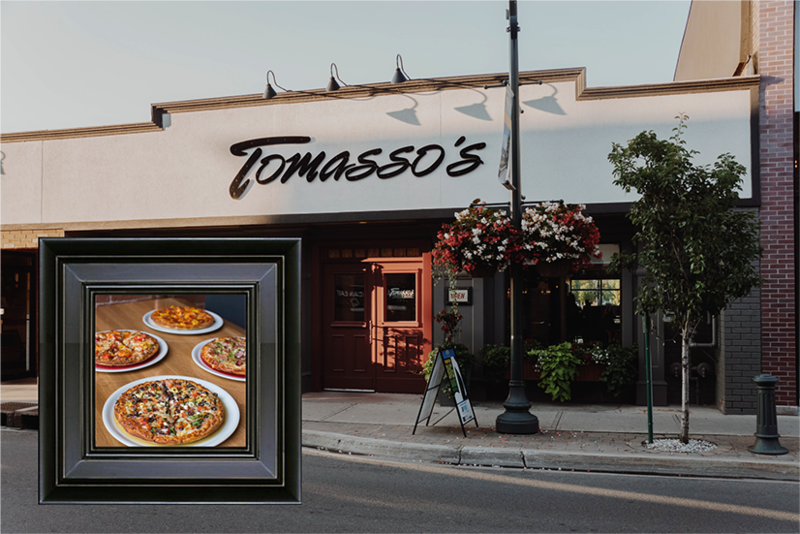 With plenty of menu options, from pasta to delicious pizza and everything in between, you will never leave Tomasso’s hungry! Who doesn’t love BBQ. Formally known as Primitive Cuisine, Neil’s BBQ Nation is where you need to go to get true Southern BBQ style delicacies. They even offer 7 different kinds of sauces for your BBQ goodies. Why not grab a “Picnic Pack” and head out for a meal with the family. These meals feed 2-8 people, and are stuffed full of a variety of foods, such as wings, ribs, beans, slaw, cornbread or brisket. 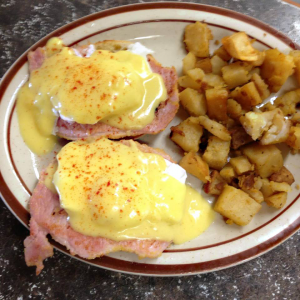 Red’s is a delicious all day breakfast & lunch diner style restaurant. The biggest reason to come here is their pancakes. 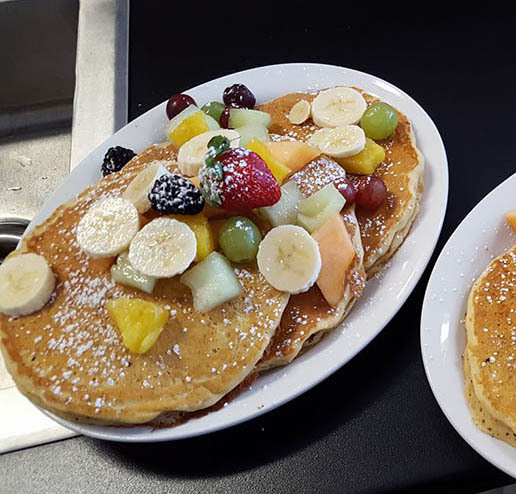 They serve their pancake stacks loaded with toppings, like bacon & chocolate chips, fresh fruit or banana & pecans. It’s like dessert… for breakfast. Wings & Pints, need I say more? This is the spot to go if you’re looking for some good pub food & a few drinks. They’ve got a full menu of all the pub style classics and a games always playing on one of their many TV’s around the bar. Check out their Wing Night, only .79 cents a wing and $6.99 for a schooner of beer!